If you read part one of this post series on the September 9th Apple announcement, you might think it’s all gloom and doom here on Life as a Hat. You know there’s a new iPhone coming out soon, but you also know that the pricing model is designed to rope you into a quasi contract– you’ll pay a low initial deposit, sure, but you’ll owe your cell phone provider money for months and months to come by way of a hefty monthly bill. Gloom and doom are the antithesis of everything Hatters are about, though. I want you to be able to manage your money in a way that gives you the greatest utility for your purchases and lets you keep as many of the hours you trade for wages as you can. That’s freedom, baby, and the Apple announcement is going to help you get it. You’re going to use this announcement to buy your own phone, and you’re going to take that phone to a pre-paid plan like we talked about. Here’s where I might lose some of you, though; it’s not going to be the iPhone 6s Plus. It’s not going to be the iPhone 6 Plus. It’s not going to be the iPhone 6. Hatters, I want you to put some serious thought into buying the iPhone 5s this October. Take a look at the chart to the left. 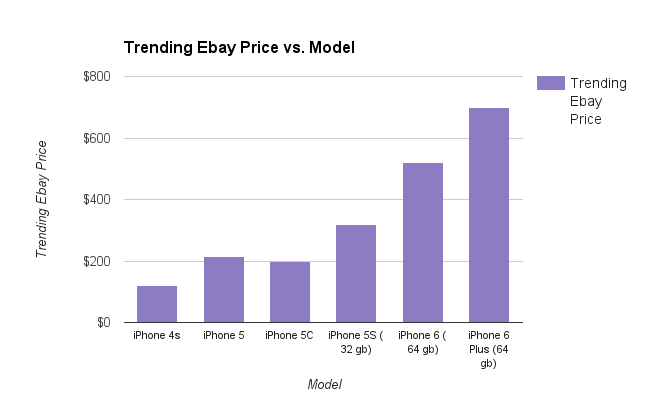 I’ve priced out the current line up of Apple phones plus a few older models of the iPhone based on their trending prices on Ebay (as of 9/7/2015). I made a few choices when it came to the phones I selected–namely, I opted towards prices for “unlocked” phones that can be taken to any carrier, and I chose the midrange storage capacity when options were available. Those choices mean the prices you see might be slightly inflated depending on your needs, but they’re the phones that will work best for the average consumer in the second hand market. Right now, an iPhone 5s with a 32 GB storage capacity will set you back about $320. That’s only a little over the $299 most consumers are willing to pay for the latest Apple release, but when you spend your $320 on an iPhone 5S, you aren’t locked into a contract or a payment plan. You own that phone, and you can take it where you choose, to what deal you choose, at any time. Choices, my friends, choices. Here’s where it gets even better. These prices? Give them until October, and they’re all going to fall. The new iPhone will push the 5C and potentially the 5S (depending on how Apple chooses to incorporate the “Plus” options) out of the line up, but those options will stay available on the second hand market. You can see from the chart that the 4S, a great phone, is down to about $120 because it’s an older model that’s left the line up already. I don’t know about you, but I would much rather stop paying $90 a month for cell phone service, and take two month’s worth of savings from the $30 T-Mobile plan to buy my very own, no-subsidy, no-contract iPhone. I’ll be upfront with you. There are some downsides to choosing a second hand 5S. Your camera won’t have the upgrades of the 6S, though it’ll still take incredible photos with ease. You won’t have the slightly faster processing of the 6S, but you’ll still be able to use your device for more than we could have imagined a few years ago. You won’t have the convenient larger screen for gaming, but you will have a proficient system that will rarely make you wish for more. I think the perks far outweigh those costs, though, don’t you? There is a clean IMEI number advertised on this listing. This helps ensure the phone wasn’t stolen and that you’re able to activate it on your own network. It’s important that the clean IMEI is advertised in the listing because it helps ensure Ebay can protect your purchase if you receive a phone that can’t be activated. You pay close attention to the condition description of the phone. I’m personally comfortable with anything listed from “Good” condition on up; your comfort level might vary. Do understand that the photos on eBay are often stock pictures, and they aren’t involved in any purchase protection from Ebay. The condition description is what the seller is obligated to match. The phone is listed as “Factory Unlocked” or listed for use on the carrier network you intend to use. Factory Unlocked will allow you to take your phone to any network, and I personally prefer that freedom. You make purchase using a method that will provide you secondary protection beyond Ebay–I like to use AMEX because of their great customer service, but PayPal also provides a set of purchase protections. Got through all that? 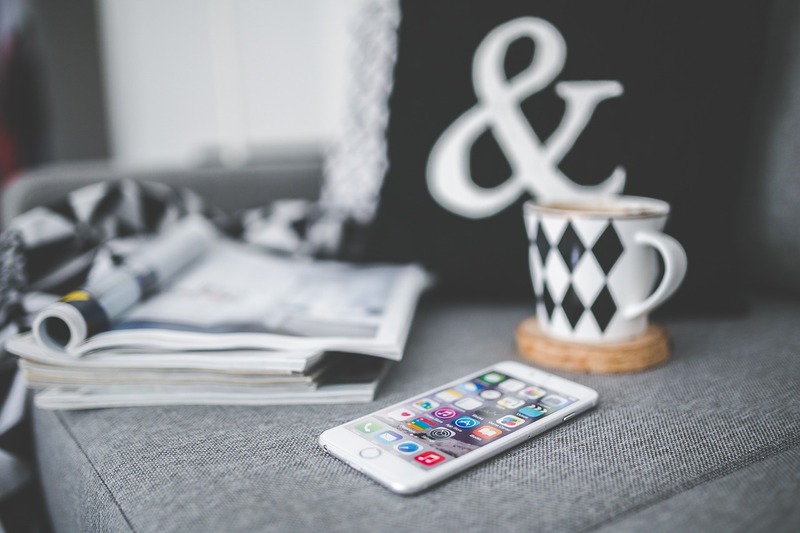 You’re ready to take on the Apple announcement this week like a personal finance pro and make it work for your own freedom.